Indigenous scholar, author, and pioneer in the advancement of Indigenous education, Jo-ann Archibald (Q’um Q’um Xiiem) is the former associate dean for Indigenous Education and director of the Indigenous Teacher Education Program (NITEP), and is professor of Educational Studies in the Faculty of Education at the University of British Columbia. She completed her Bachelor of Education at UBC in 1972 and continued on to earn both a master and doctorate in education. Member of the Stol:lo Nation, Archibald is described as a visionary and an agent of change, and is nationally recognized for creating culturally relevant teacher education and graduate programs for Aboriginal students. During her career of more than 40 years, her work transformed the learning landscape through curriculum and program development, policy, teaching and research. As a member of the board of directors of the First Nations House of Learning at UBC, Archibald worked with the Faculty of Arts, Agricultural Sciences, Law and many others to develop and implement Indigenous projects on campus. At the national level, Archibald co-led the Accord on Indigenous Education in 2010, a groundbreaking collaboration to improve Indigenous education in Canada. 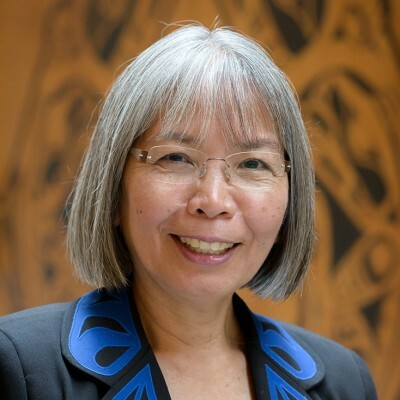 At the international level, she helped establish a formal relationship between UBC and the University of Auckland in New Zealand, where she served as director for the International Research Institute for Maori and Indigenous Education. Archibald is the author of Indigenous Storywork: Educating the Heart, Mind, Body, and Spirit published by UBC Press in 2008. She also served as editor of the Canadian Journal of Native Education. In 2000, Archibald won a National Aboriginal Achievement Award for Education and an AERA (American Education Research Association) Scholars of Color Distinguished Career Contribution Award in 2013.